I was asked to compile a list of the quotes I have recently placed on Facebook. Here it is! “Liberals claim to want to give a hearing to other views, but then are shocked and offended to discover that there are other views.” – William F. Buckley, Jr.
COLORADO SPRINGS, CO – R.C. Metcalf – As I drove back to Colorado Springs from Denver today, the fog was so thick I could barely see the car ahead of me, much less the usual splendor of the Rocky Mountains to the west. I was listening to Tim Keller, pastor of Redeemer Presbyterian Church in Manhattan, who made some interesting points about the nature of faith. In the ongoing dialogue between theists and atheists that permeates society today, theists are often said to rely on faith while atheists rely on reason in the formation of their respective worldviews. Yet, such a stark dichotomy is too simplistic and out of touch with reality. Adherents to both views arrive at their beliefs through a combination of faith and reason. Neither the atheist nor the theist relies solely on reason. Both rely on a component of faith. For that matter, there are very few beliefs any of us hold that do not involve faith to some degree. The simple act of driving through a green light requires faith that nearby drivers who are faced with a red light will actually stop. Oxford biologist and author Richard Dawkins suggests that religious “faith” is a “virus of the mind.” In his 1991 article entitled “Viruses of the Mind,” he states that, “Like some computer viruses, successful mind viruses will tend to be hard for their victims to detect. If you are a victim of one, the chances are that you won’t know it, and may even vigorously deny it.” So, sufferers of the memetic virus of religious faith may not even know they have been affected by an outside agent. Conversely, the apostle Paul wrote of non-believers that, “their minds were blinded. For until this day the same veil remains unlifted in the reading of the Old Testament, because the veil is taken away in Christ.” (2 Cor. 3:14) According to Christianity, Richard Dawkins may have been similarly blinded; a viral virgin infected by a God who disdains his arrogant air of superiority. But here’s the rub. It wasn’t the fact that faith exists within all of us that beguiled Dr. Keller; it was how each of us expresses our faith that captured his imagination. Think about it. By virtue of our various worldviews, each of us discovers a sense of belonging. Whether you are a Muslim, a Christian, a Hindu or a Freethinker, you will find other people who share your belief system. You will also soon appreciate that there are many more people who disagree with your beliefs and consider them simply wrong. What is common to all of us is the tendency to marginalize those who don’t believe as we do; to consider ourselves better than those who haven’t been similarly enlightened. In this sense, we can’t help but agree with Christopher Hitchens. Religion does spoil everything. And he certainly made that point clearly in his debate with Frank Turek. Christopher emoted, “Isn’t it as plain as could be that those who commit the most callous, the most cruel, the most brutal, the most indiscriminate atrocities of all, do so precisely because they believe they have divine permission?” In many cases, we must humbly admit, he is correct. However, wasn’t Pol Pot cruel and indiscriminate? Wasn’t Joseph Stalin callous and brutal? Stalin was also indiscriminate. He copiously murdered people of all religions. Richard Dawkins, in The God Delusion, suggests that while these men were indeed atheists, it wasn’t their atheism that drove them to commit such atrocities. Stalin’s atheism may not have led him to murder had it not been that his atheism first led him to marginalize the masses. His atheism led to self-supremacy and the marginalization of others, which in turn led to his genocidal acts. In his Contribution to Critique of Hegel’s Philosophy of Right, Karl Marx described religion as the “opiate of the masses.” Supremacist thoughts would come easily to someone convinced that everyone else is walking around in a metaphorical drug-induced stupor. When it comes to atrocities, all religions, and even atheism, are in a dead heat. But why is this so? The bottom line is that people are not led to commit atrocities by either religion or atheism, but rather by the insidious seduction of power and the serpentine invasiveness of pride. These lead to a misguided sense of moral superiority. When an individual of one group sees himself as superior to those of another group – as more deserving, more enlightened, more noble – he is bound to subjugate outsiders mentally, verbally and eventually physically. Is it any wonder that radical Islam seeks the subjugation of outsiders? Their holy book tells them, in no uncertain terms, they truly are superior. The clear implication in Harris’s words is that “faith in God” should not hold prestige, but rather, should be considered a mark of madness or stupidity. Both Harris and Dawkins project an air of superiority by insinuating that the religious, and especially Christians, are ill, mad or stupid. Some people who claim the title “Christian” may indeed deserve these labels, such as those whom Harris claims sent him hostile emails and letters after the publication of his first book, The End of Faith. Yet, hostility from those who disagree with you is par for the course in this day and age. I, too, have received my share of hostile communications from atheists subsequent to my rebuttal of Harris, Letter to a Christian Nation: Counter Point. The dictates of Jesus and Paul, when followed by professing Christians, mitigate against superiority and thoughts of supremacy. Christians the world over, who live consistently with the mandates of Jesus Christ, find a joy and a peace they long to share with others… all others… for they realize that they are recipients of grace and mercy. The recognition that they are no more deserving than the next person of that blessed grace leads them to humbly look upon others as greater than themselves. Religion may indeed spoil everything, but Jesus Christ came to redeem the spoiled. The following article is from World Net Daily, December 12, 2008. Bob Unruh, World Net Daily — A New York man is linking the suicide of his 22-year-old son, a military veteran who had bright prospects in college, to the anti-Christian book “The God Delusion” by Richard Dawkins after a college professor challenged the son to read it. “Three people told us he had taken a biology class and was doing well in it, but otherstudents and the professor were really challenging my son, his faith. They didn’t like him as a Republican, as a Christian, and as a conservative who believed in intelligent design,” the grief-stricken father, Keith Kilgore, told WND about his son, Jesse. “This professor either assigned him to read or challenged him to read a book, ‘The God Delusion,’ by Richard Dawkins,” he said. Jesse Kilgore committed suicide in October by walking into the woods near his New York home and shooting himself. Keith Kilgore said he was shocked because he believed his son was grounded in Christianity, had blogged against abortion and for family values, and boasted he’d been debating for years. After Jesse’s death, Keith Kilgore learned of the book assignment from two of his son’s friends and a relative. He searched Jesse’s room and found the book under the mattress with his son’s bookmark on the last page. A WND message seeking a comment from Dawkins or his publisher was not returned today. The first inkling of a reason for the suicide came, Keith Kilgore told WND, when one of Jesse’s friends came to visit after word of his son’s death circulated. “She was in tears [and said] he was very upset by this book,” Keith Kilgore said. “‘It just destroyed him,’ were her words. “Then another friend at the funeral told me the same thing,” Keith Kilgore said. “This guy was his best friend, and about the only other Christian on campus. “The third one was the last person that my son talked to an hour before [he died,]” Keith Kilgore told WND, referring to a member of his extended family whose name is not being revealed here. “He was pretty much an atheist, with no belief in the existence of God (in any form) or an afterlife or even in the concept of right or wrong,” the relative wrote. “I remember him telling me that he thought that murder wasn’t wrong per se, but he would never do it because of the social consequences – that was all there was – just social consequences. He then explained to Jesse his own personal journey of seeking “other explanations of God’s existence” and told of his ultimate return. Keith Kilgore believes it was a biology class that raised questions for his son, and a biology professor at Jefferson Community College in Watertown, N.Y., where his son was attending, who suggested the book. A school spokeswoman told WND that the “God Delusion” was not a part of the biology curriculum, and several of the professors she contacted said they had not even read the book. However, the spokeswoman was unable to contact all of the professors in the department and could not state that none of them had suggested the book to Jesse. Local police also did not respond to WND inquiries about the investigation into the death. Keith Kilgore, a retired military chaplain who has dealt with the various stages of grief and readily admits he’s still in the “anger” stage over his son’s death, said his son apparently had checked the “Delusion” out of the college library. “But because he’s a Christian, I don’t even get a return telephone call,” the father told WND. He said he tried to verify the book assignment himself several times, without getting a response from the school. Jesse Kilgore blogged on NetPotion and Newblog, and the writings that remained mostly addressed social ills and how anti-Christian many of the world’s developments appeared to be. “My son is the Adam Walsh of the culture war. That’s who my son is,” he said, referring to the child abduction victim whose case was used to create a wide range of amber alert and other programs to protect children. 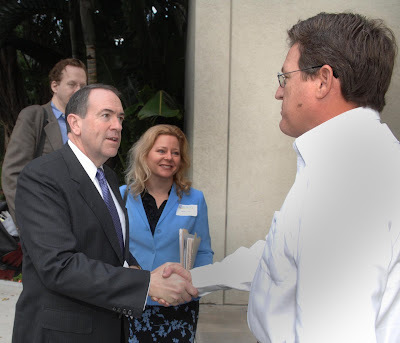 He said he has a wake-up call over the anti-Christian agenda of public education. And he has some goals. “I want to hold schools accountable for what they’re teaching our kids. This was malpractice,” he said. 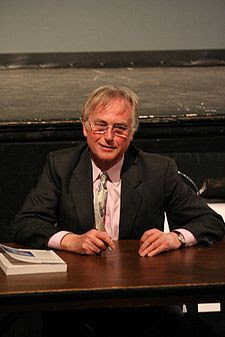 Dawkins, considered one of the world’s most outspoken atheists, is a professor in the United Kingdom. He came to prominence in 1976 with his book “The Selfish Gene,” promoting evolution. In his “Delusion” treatise he claims that a supernatural creator almost certainly does not exist and that faith qualifies as a “delusion” – a fixed false belief. All blog posts and articles prior to this are archived posts that were transferred from our previous blog site. Original posting dates are listed within each article. I’ve misspoken before. I’ve misspoken before on national television. I’ve mixed up words, reversed orders, but I have never once misspoken concerning my faith and the God in whom I trust. Even in the most heated debate on Islam, never did I ever utter the words “my Muslim faith.” Nor, even when talking about Buddhism, have I ever slipped up and referred to “my Buddhist faith.” Ever. Why? Because my Christianity is so ingrained in me, so a part of who I am, that the thought of adhering to a false religion is so foreign, so blasphemous, that the words would never cross my lips. Let’s just say he misspoke. Did Obama misspeak when he told the New York Times that blasphemy was one of the “prettiest sounds on earth at sunset”? Really? No god but the false god Allah is the prettiest sound on earth? Really. Speaking of slip-ups, here’s the clip of Obama saying he’s visited 57 states. He’s such a “global citizen,” perhaps the 57 member states of the “Organization of the Islamic Conference” was more second nature to him than our own 50 U.S. states. While Obama’s campaign site declares: “Senator Obama has never been a Muslim” and “was not raised as a Muslim,” the records say differently. As was documented by Jerome Corsi in his best-selling book, “The Obama Nation,” in January 1968, Obama was registered as a Muslim at his primary school under the name Barry Soetoro. Even the Associated Press has released a photocopy of the document where Barack Obama is registered as an Indonesian citizen of the Muslim religion. (Listen to Dr. Corsi on yesterday’s Faith2Action radio program at http://www.f2a.org/ discussing it). He could have never made faces in Quranic studies if he wasn’t studying the Quran. So this weekend on national television, he referred to his “Muslim faith.” Last year he said that praising Allah as the one true god was the prettiest sound on earth. He said he was never a mosque-attending Muslim, but eyewitnesses say otherwise. Despite what Obama and his campaign have claimed, by his own admission, he studied the Quran. In that same article was a picture of Malik with his half brother Barack in traditional Somali elder dress with a turban on his head in 1985. Like many pictures of Obama in Muslim attire readily available on the Internet, he was not between the ages of 6 and 10 when the photos were taken. Let’s pretend all of this is just part of some smear campaign. Forget everything that I’ve said and take a look of who’s backing this guy. According to Islamic expert Brigitte Gabriel, author of Because They Hate: A Survivor of Islamic Terror Warns America and her new book, They Must be Stopped: Why We Must Defeat Radical Islam and How We Can Do It, there are some very interesting campaign supporters of Barack Obama. Beyond the support of unrepentant terrorist William Ayers, Obama has backing from some other notorious groups, from “al-Qaida to Hamas, to Hezbollah,” to “Islamic Jihad” to the “Muslim Brotherhood,” to “all the terrorists organizations” who “are coming out in force for Obama for president,” stated Gabriel on the Sept. 3, 2008, Faith2Action radio program (on the “Archives” section of http://www.f2a.org/). On the same program, she spoke of the Muslim Brotherhood project for North America, in 1982, whose plans were to get Muslims actively involved in politics. As far as they are concerned, said Gabriel, these groups claim “Obama can say anything he wants to get elected – he is a Muslim.” They claim that if he had renounced his Muslim affiliation declared early in life, he would have changed his Muslim name. What is interesting is the Islamic world has not renounced Obama for becoming a Christian – a capital offense under Shariah law. What is perhaps more interesting is that Sen. Barack Hussein Obama has never renounced his Muslim ties. He was too busy pretending they didn’t exist until the documents and eyewitness accounts surfaced recently. Let’s not play games. By way of review, on national television Obama “misspoke” about “his Muslim faith.” Last year he said the words “there is no god but Allah” were “one of the prettiest sounds on Earth at sunset.” Then he said that he’s been to “all 57 states” (57 states coincidently belong to the “Organization of the Islamic Conference”). According to eyewitnesses, he was a mosque-going, Quran-learning, Muslim (according to official documents released by the AP). His friends say so. His principal said so. His own brother said so. He wears the Muslim turban and Somali elder dress for photo-ops, apparently for fun. While he hasn’t renounced any of this, not one Islamic extremist has called for his death as an apostate from Islam. Obama is right about one thing. Sen. John McCain isn’t talking about Obama’s Muslim faith. But the rest of the country is beginning to. More glitches for the Large Hadron Collider (LHC): The same day operators announced that a 30-ton transformer that cools part of the particle smasher had broken within hours of the LHC’s launch last week, a mishap yesterday resulted in “a large helium leak” into the collider’s tunnel. No workers were at risk, according to CERN, the European Organization for Nuclear Research, which runs the LHC. 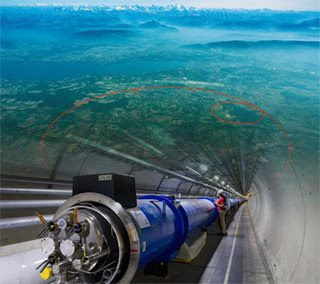 The leak means that the LHC will be down for at least two months, because workers must now warm up the faulty sector of the tunnel in order to repair it. The liquid helium is used to cool the LHC’s magnets — which guide protons and accelerate them so they can be smashed together — down to within 1.9 kelvins (3.4 degrees Fahrenheit) of absolute zero. For more on the LHC, see our in-depth report. It may be even longer now before we find out how long it takes the LHC to defrost a pizza. Image of one of the LHC’s superconducting magnets superimposed on an aerial view of CERN’s accelerator complex near Geneva with the path of the LHC marked in red, courtesy of CERN. 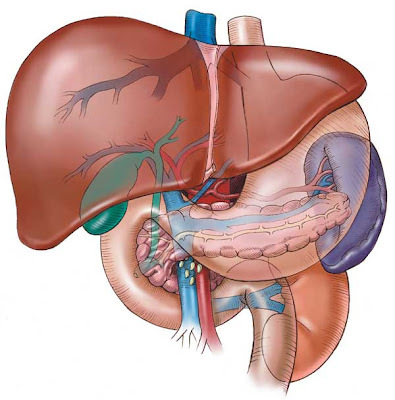 Arlington, VA– Sept 19, 2008- Small sections of human liver have been created from umbilical cord stem cells, say scientists from Newcastle University, UK. The researchers say this technology could eventually be used to grow small livers that could be used for drug tests – doing away with the need for human volunteers to take risks. Earlier this year six volunteers became dangerously ill during a drug trial in the UK. The scientists warned that it will be tens of years before we are anywhere near producing whole new livers for transplants. However, within the next 15 years, tiny livers could be produced and used for treating patients. Team leaders, Dr. Nico Forraz and Prof. Colin McGuckin, have set up ConoStem, a company aimed at marketing their stem cell research results. The researchers said they used a microgravity bioreactor, which creates a weightless environment, to grow liver tissue from stem cells. This technology, if it really can replace human and animal testing, will be welcomed by people who are against using animals for testing drugs. Umbilical cord stem cell research is also a much more attractive prospect for those who are against using embryonic stem cells for research. CordStemCellResearch.com is committed to providing up-to-date information about cord blood stem cell science. We provide meaningful, peer-reviewed content to help you understand this novel area of medicine. Visit us at www.cordstemcellresearch.com. 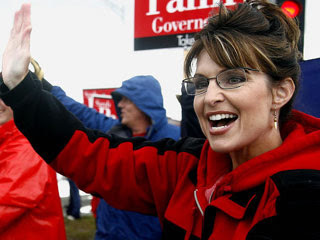 COLORADO SPRINGS, CO – September 6, 2008 – John McCain’s selection of Sarah Palin as a running mate has brought hope to many who understand our most important issue: national security. There are many others who dread the possibility that Palin may one day become the first female U.S. president… aside from Hillary Clinton, who undoubtedly loathes the idea. After all, that was supposed to be her title. Harris’ assumption that Palin is nothing more than a “girl next door” is amazingly naïve. Nothing could be further from the truth. Those who dread Palin fail to comprehend the nature of our national security issues. Liberals suggest that those in the Middle East hate us for many reasons. Let’s look at a few. A very common misconception as to why we are hated by the Arab world is articulated clearly by one blogger: “Unless I’m mistaken, Bush invaded Iraq under the premise that Saddam had WMD’s, when in reality it was to protect Israel and secure the oil fields so Halliburton could build a pipeline from Iraq to Kuwait. Now all of Islam hates us.” Yes, you are mistaken. One blogger even suggests the Middle East hates us because we’re too fat! “The Middle East doesn’t hate us because George Carlin dropped the F-bomb one too many times. No they hate us because we have become a nation of couch potatoes. It’s true, there is an epidemic spreading across this country and pretty soon the new fashion statement will be WIDE LOAD printed on the back of a pair of Daisy Dukes.” Okay, he must be kidding… right? Ultimately, the fundamental reason that Muslims in Arab countries hate America is not that they desire what the West has. They despise Western decadence. The fundamental reason Muslims hate America is that their holy book, the Qur’an, teaches that they are to seek the creation of a worldwide caliphate, a theocratic governing body ruled by Shari’a Law. Radically consistent Muslims, who strictly adhere to Qur’anic teachings, desire not only a “completely theocratic politics,” but also one that is completely unknown to most people in the West, especially Barack Obama and Joe Biden. The Islamic doctrine of taqiyyah allows Muslims to practice deception and to outright lie if their end goal is the furtherance of Islam. This is especially true amongst the Shiite Muslims of Iran. What does this suggest regarding Barack Obama’s plan to unconditionally sit down with Mahmoud Ahmadinejad? Will Mahmoud negotiate a peaceful arrangement with America, the country his hero and mentor, Ayatollah Khomeini, dubbed “the Great Satan”? Will Mahmoud suddenly recant his threats to destroy Israel and America when he sees Barack smiling at him across the diplomacy table? Think again. Sarah Palin may not yet fathom the depths of Islamic deception, but her Christian background will offer her a greater understanding of the challenges we have ahead of us. The following article is a CERN Press Release dated August 7, 2008. Geneva, 7 August 2008. CERN1 has today announced that the first attempt to circulate a beam in the Large Hadron Collider (LHC) will be made on 10 September. This news comes as the cool down phase of commissioning CERN’s new particle accelerator reaches a successful conclusion. Television coverage of the start-up will be made available through Eurovision. The LHC is the world’s most powerful particle accelerator, producing beams seven times more energetic than any previous machine, and around 30 times more intense when it reaches design performance, probably by 2010. Housed in a 27-kilometre tunnel, it relies on technologies that would not have been possible 30 years ago. The LHC is, in a sense, its own prototype. Starting up such a machine is not as simple as flipping a switch. Commissioning is a long process that starts with the cooling down of each of the machine’s eight sectors. This is followed by the electrical testing of the 1600 superconducting magnets and their individual powering to nominal operating current. These steps are followed by the powering together of all the circuits of each sector, and then of the eight independent sectors in unison in order to operate as a single machine. By the end of July, this work was approaching completion, with all eight sectors at their operating temperature of 1.9 degrees above absolute zero (-271°C). The next phase in the process is synchronization of the LHC with the Super Proton Synchrotron (SPS) accelerator, which forms the last link in the LHC’s injector chain. Timing between the two machines has to be accurate to within a fraction of a nanosecond. A first synchronization test is scheduled for the weekend of 9 August, for the clockwise-circulating LHC beam, with the second to follow over the coming weeks. Tests will continue into September to ensure that the entire machine is ready to accelerate and collide beams at an energy of 5 TeV per beam, the target energy for 2008. Force majeure notwithstanding, the LHC will see its first circulating beam on 10 September at the injection energy of 450 GeV (0.45 TeV). Once stable circulating beams have been established, they will be brought into collision, and the final step will be to commission the LHC’s acceleration system to boost the energy to 5 TeV, taking particle physics research to a new frontier. CERN will be issuing regular status updates between now and first collisions. Journalists wishing to attend CERN for the first beam on 10 September must be accredited with the CERN press office. Since capacity is limited, priority will be given to news media. The event will be webcast through http://webcast.cern.ch/, and distributed through the Eurovision network. Live stand up and playout facilities will also be available. A media centre will be established at the main CERN site, with access to the control centres for the accelerator and experiments limited and allocated on a first come first served basis. This includes camera positions at the CERN Control Centre, from where the LHC is run. Only television media will be able to access the CERN Control Centre. No underground access will be possible. 1 CERN, the European Organization for Nuclear Research, is the world’s leading laboratory for particle physics. It has its headquarters in Geneva. At present, its Member States are Austria, Belgium, Bulgaria, the Czech Republic, Denmark, Finland, France, Germany, Greece, Hungary, Italy, Netherlands, Norway, Poland, Portugal, Slovakia, Spain, Sweden, Switzerland and the United Kingdom. India, Israel, Japan, the Russian Federation, the United States of America, Turkey, the European Commission and UNESCO have Observer status. He was raised in a devout household and was the first student in town to go to college. Supporting himself at Yale in the Depression, he graduated near the top of his class in 1934, won a Rhodes Scholarship to Balliol College at Oxford University and earned a master’s degree in law. He began his Wall Street career in 1937. Among his many gifts was the 1984 endowment of Templeton College, a business and management school at Oxford. 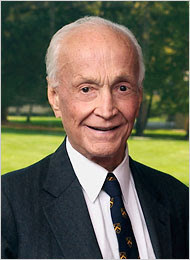 In 1987, he was knighted by Queen Elizabeth II for his philanthropies. After many years on Wall Street, he renounced his American citizenship in the 1960s, became a British subject and moved to the Bahamas, a Commonwealth nation that has long been a tax haven.